Fiat has launched a new trim level - MyLife - designed as a well-equipped but good value specification that's available across the brand's range. 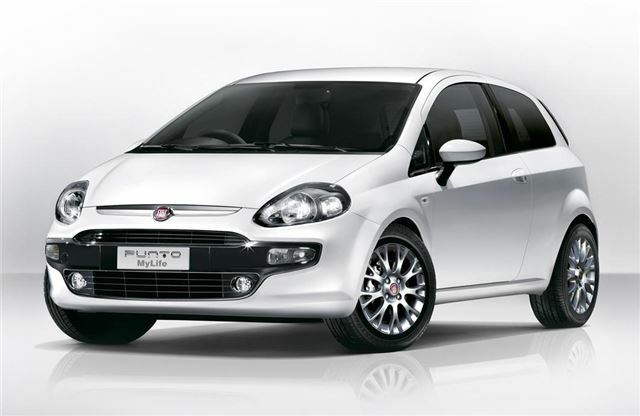 The rather oddly named new specification has been launched with the Fiat Punto Evo and Fiat Panda MyLife. Later in 2011 there will be MyLife models of the Bravo, Qubo and Doblo available. Visually, the MyLife version of the Punto Evo MyLife can be distinguished by a Piano Black gloss finish on the front and rear bumper inserts and door pillars. Like the GP and Sporting versions it gets dark tinted headlights plus there are body-coloured door handles, 15-inch sports alloy wheels and front fog lights. The interior gets an enhanced soft touch black dashboard while standard features include Blue&Me with the facility for TomTom sat nav, engine stop/start and air conditioning. It's available with the 1.2-litre 69bhp engine and is priced at £9,995 (3-door) and £10,595 (5-door). Meanwhile, the Panda MyLife is based on the 1.2-litre 69bhp Active model and comes with 14-inch alloy wheels, air conditioning and remote central locking. It costs £6,995.